What it made us think of: Class eccentric circa 1965. What it made us think of: Sophie Loren shopping in Edinburgh. 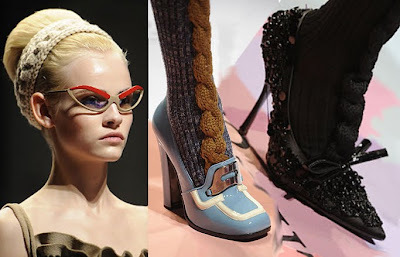 What we liked: The 60s Italy vibe, shoes, buttons, leather, nubby knits, beehives, skirted coats. 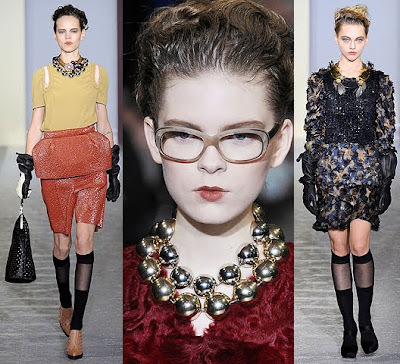 Prada, a major supporter of the size zero ideal, put some curvier models on the runway along side their usual pre-pubescent waifs. What we didn't: I jumped for joy because I thought I saw a plus size model too. No, the dress just made a lovely size 4 model look like a lovely size 14 model. 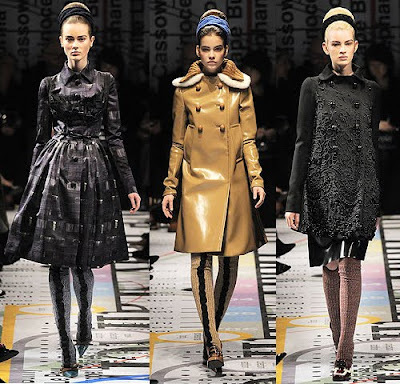 Miuccia, you either need to do some major tailoring or feed the other models.